In the Junior Guide Book complete those areas required by Young Marine National Headquarters and the Young Marine will be qualified for promotion to the next rank. There is no time requirement required before promotion, only Young Marine and Parent effort. The box must be completed as on your own study and then Reviewers signature is required for those sections. Junior Guide Book acronym (PO) Performance Objective: (EO) Enabling Objectives: RANKS: Corporal Cpl, Sergeant Sgt. 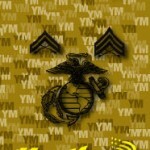 Young Marines are required to complete a nationally certified Junior Leadership School before being promoted to YM/SGT. Young Marines must have one year in the program prior to applying to a National or Locally accredited Junior Leadership School. Newly promoted Young Marine Sgt’s should begin study of the Senior Guidebook so that they can begin studying and working towards the next rank.